Plays a little like upside-down volleyball! A hoop-sized net is placed at ankle level. The ball is smacked down on the net. It ricochets up at your opponents. They have up to three hits to bounce it back. 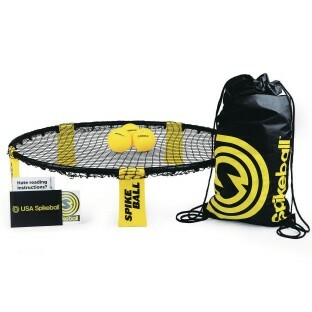 A fun and energizing new sport for 2 to 4 players that plays a little like upside-down volleyball! A hula hoop-sized net is placed at ankle level between a pair of two-player teams. 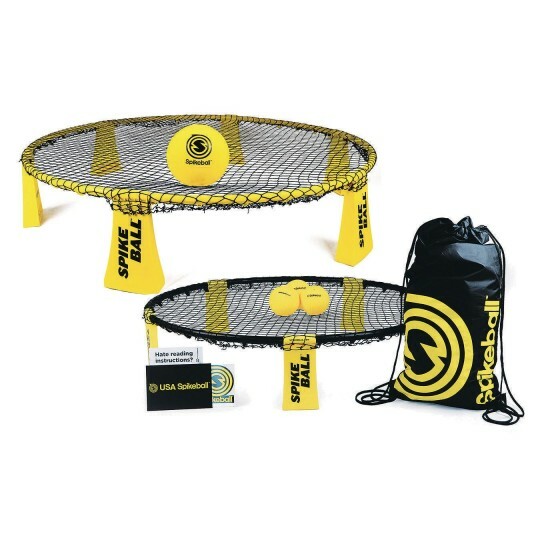 The ball is smacked down on the net so it ricochets up at your opponents. They then have up to three hits between them (just like volleyball) to control it and bounce it back to you. If they miss, you score! First team to 21 wins. 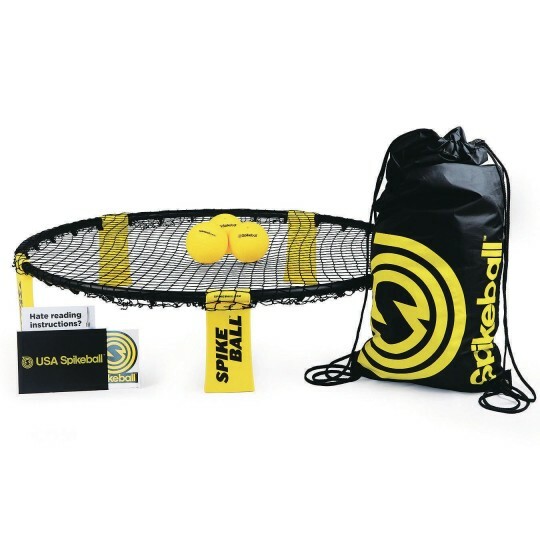 This complete set includes the easy-to-assemble net, 3 balls, 1 drawstring backpack, 1 sticker, 1 ball pump needle (pump not included), and instructions.